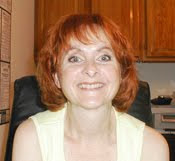 have more than one QuickBooks file? ever start a new company file to speed performance? frequently close one file and open another for yourself or clients? Store QuickBooks transactions in date chunks in another application so you can access them when QuickBooks is closed. Since historical data rarely changes, you can rely on stored data as long as you refresh it when you change the source data. You may frequently access these tables with QuickBooks closed. To change the data, however, you must open QuickBooks. After changing the data (transactions, account names, items, etc) and before closing QuickBooks, refresh the table so it remains accurate until the next time you open QuickBooks. The only data you need to refresh is data you change in the open QuickBooks file. You cannot change stored data while QuickBooks is closed, therefore it remains accurate until you open QuickBooks and change it. The only exception is when using ODB connections and certain file permissions but even then you can only change one file and all others must be opened to change data. After changing data and before closing QuickBooks, refresh the stored data. The same principle applies to multiple company files. You cannot change any company's QuickBooks data unless the file is open. Before closing the file, refresh the stored data and it remains accurate when QuickBooks is closed. Another benefit of stored data is access to paperless receipts with QuickBooks closed. 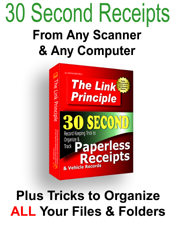 If you use the The Link Principle (Amazon, Barnes & Noble) to link transactions to paperless receipts, you can view any receipt in seconds from the data in your stored transaction list. A variety of methods exist and we'll begin with the easiest but least effective and end with the most effective that uses VBA. Copy and paste VBA is included so you need not know VBA to use the method. 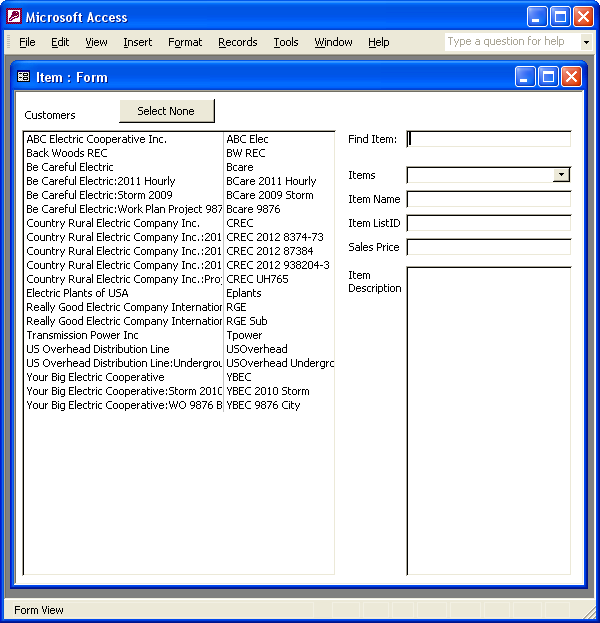 The simplest way to store QuickBooks transactions is to export to spreadsheets. QuickBooks provides this feature for you. To include all transactions, use the Custom Transaction Detail report, unless you only want specific transactions like checks, bills or credit cards or variations of combinations of these. How and where you store spreadsheets is up to you. You might store each company in a separate workbook and keep each date block (year, quarter, etc.) on a separate worksheet. The possibilities are many. This is the easiest method as far as exporting; however, saving and accessing spreadsheets means remembering their locations. In addition, each date block will reside on at least its own worksheet if not its own workbook. You may need to open more than one workbook or worksheet to find the transaction you need. This is still faster than opening QuickBooks each time you need to view a transaction, especially if you have to close one file and open another. We can improve on this method by using a database and this is covered in the next post.